Honestly, no news has been good news. We are in the home stretch with Little Brother, and it has been as uneventful as a pregnancy can be for an exhausted 44-year-old mama of a bright and energetic two-year-old. 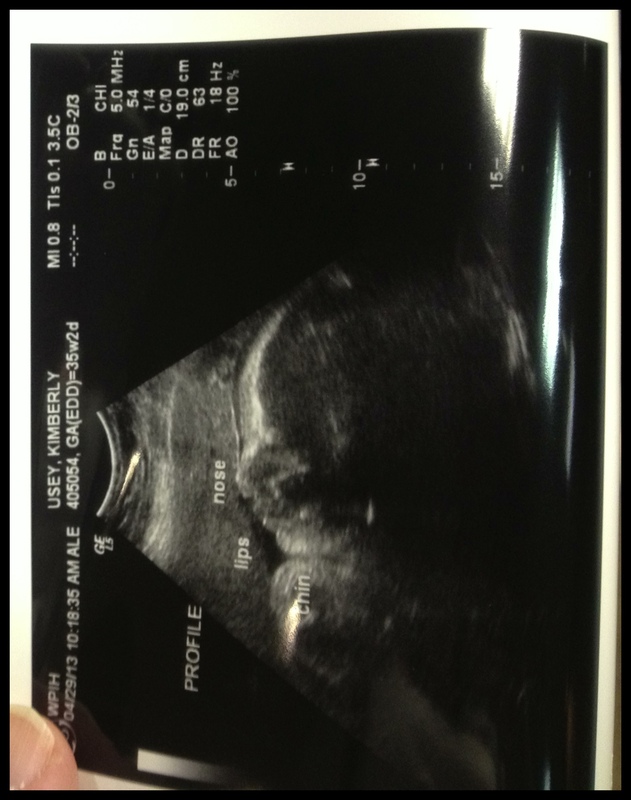 Here’s Little Brother at the 35-week ultrasound. His original due date was June 1, which got turned into a May 27 induction date, which is being sort of scoffed at by the same OB who scheduled it. She says we’ll “probably” get past May 15 (next week! ), but not to put things off that need doing. Which is a whole nother post that would stress me out a little much to write right this second. Suffice it to say that we’re right back where we were a week before Thomas was born in terms of house chaos and things not done that need to be done and my being overwhelmed and exhausted and in tears. But Thomas himself has been (mostly) so good, and has made a smooth transition to his big-boy room (yet a whole nother post, this one showing off a little), and Michael is doing everything he can to juggle the stresses of his workplace, his pregnant wife, and his crappy house. So we are taking deep breaths and being as positive and proactive as possible and trusting in our previous experience that really, things will be fine.